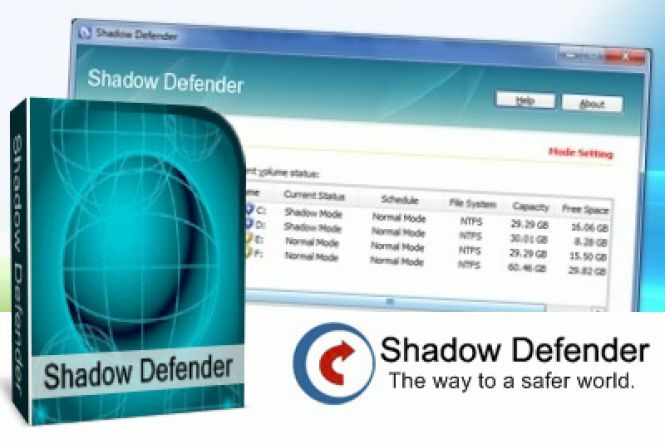 Shadow Defender - download in one click. Virus free. Download the latest version of Shadow Defender with just one click, without registration. 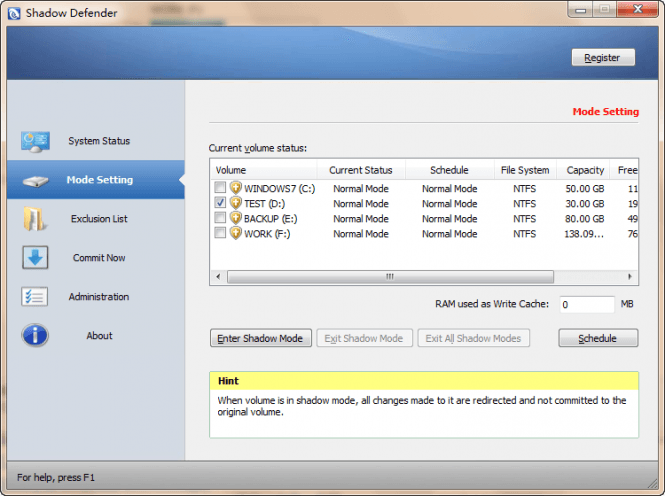 It is a standalone setup package that contains the full offline installer for Shadow Defender. All too often, surfing the Internet, we tend to ignore any safety issues, which can somehow cause our device or PC to go out of whack. Shadow Defender represents a powerful and innovative solution to all those malicious activities and threats that infest the Web. Being equipped with the latest technology, the program allows you to run your system in a virtual environment, a so-called Shadow Mode. Thus, all external attacks, viruses, or intruders are redirected to the virtual mode without any unwanted changes to your system. If your PC has experienced malicious activities, you are just to reboot the system to bring it back to the original state. However, if you want to ensure some important files and folders are kept after the reboot, bear in mind to save changes made to those specific files in the real environment via the 'Commit Now' feature. 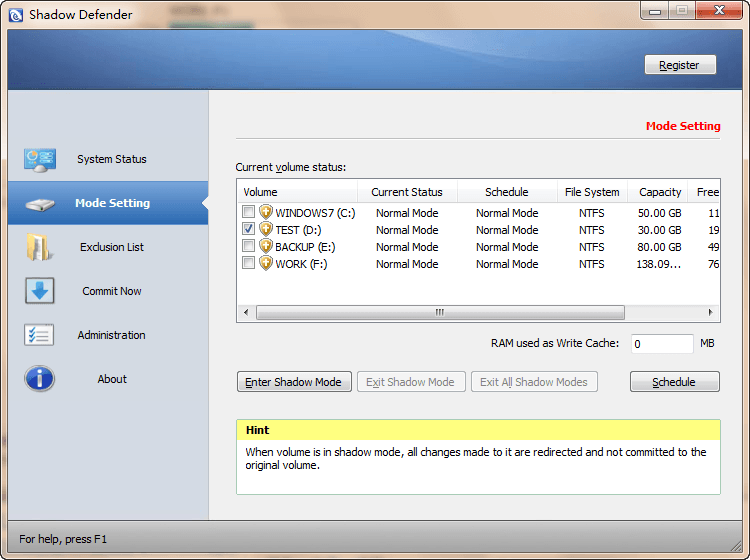 Despite the protection Shadow Defender provides, it's not a substitute for your antivirus program. As any other virtualization solution, this one is far from being 100% effective in defending you from all kinds of threats. So, having a reliable and modern antimalware program installed alongside Shadow Defender is a really good practice.